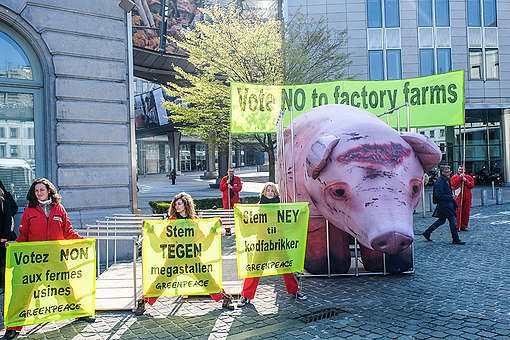 Brussels – At least 71% of the EU’s farmland is used to feed livestock, according to new research published by Greenpeace. Around 63% of arable land is dedicated to feeding farm animals. Researchers calculated that 125 million hectares of land in Europe is used to graze livestock or produce feed. 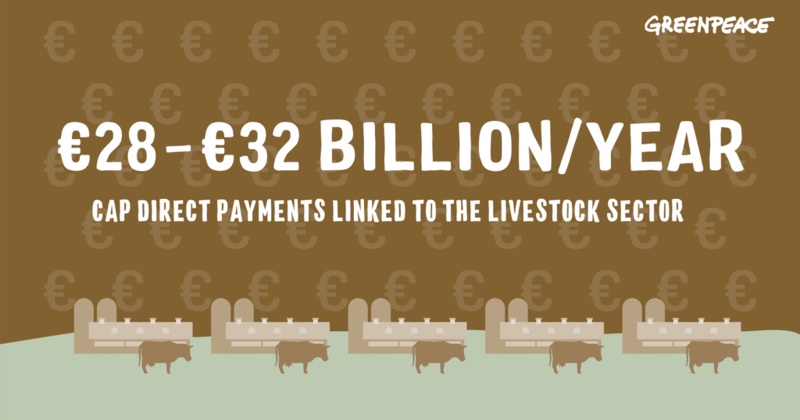 This land, and other targeted subsidies for livestock, is worth between €28-€32 billion in CAP direct payments per year for the animal farming sector, 18-20% of the EU’s total budget. 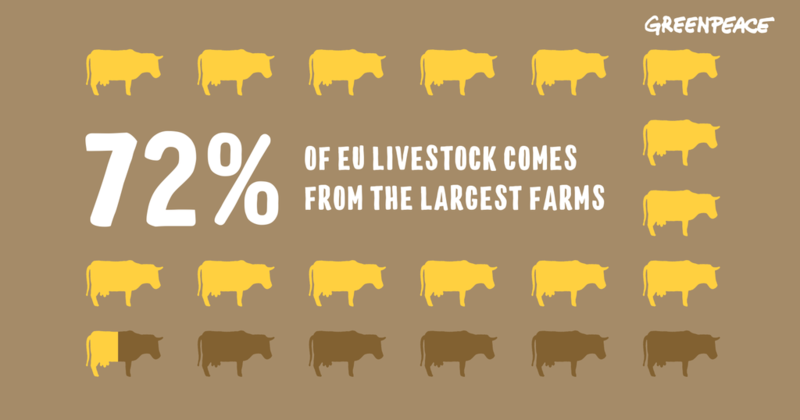 Eurostat has shown that 72% of European livestock products come from Europe’s largest farms, while the total number of livestock farms fell by 2.9 million, nearly a third, between 2005 and 2013. 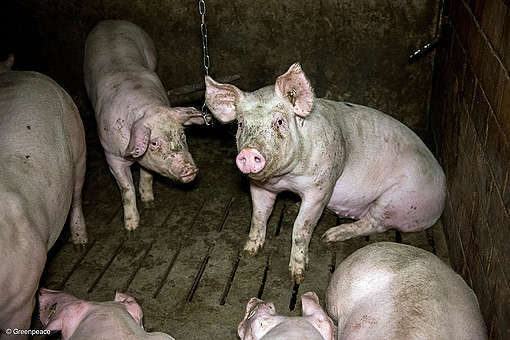 These findings come amid mounting scientific evidence of the damage done to the climate, the environment and public health by production and consumption of meat and dairy. In January, a new report by The Lancet recommended cutting red meat consumption in Europe by 77%. The next CAP, which will cover the years 2021-2027, is being negotiated between national governments and the European Parliament. 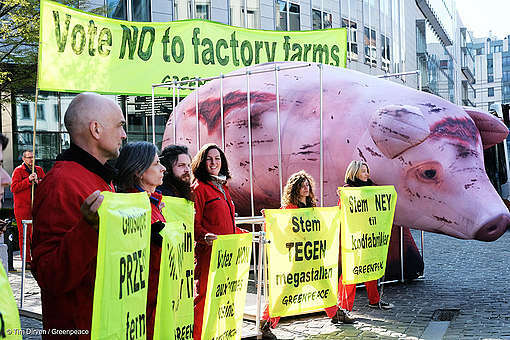 On 14 February, the European Parliament’s environment committee will vote on the European Commission’s proposed CAP reform. A vote in the agriculture committee is planned for 6 or 7 March, and a vote in the Parliament’s plenary session in April.